The arrival of summer and high temperatures can significantly affect our skin. If we want to have beautiful face during the summer time than we should take care of it properly. With years your skin becomes mature and thinner, there are fewer elastin fibers and your skin begins to require special daily care. A lot of contributions to this have external factors, such as wind and sun, while the process of cell renewal slows down to 50% in the period after thirty years of age. 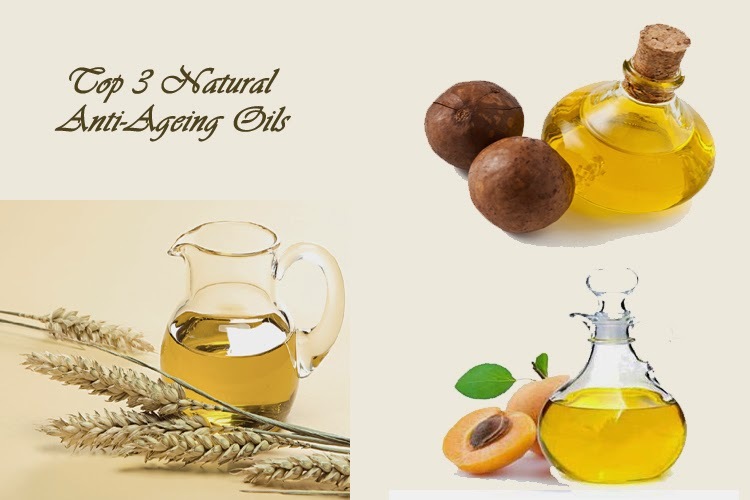 Nature is giving us so many sources that we can use to improve the look of our skin and we present you top 3 natural oils that will do magic. Apricot seed oil can do an amazing job and smooth out wrinkles around your eyes. By applying oil you are returning your skin the lost glow, making your skin look brighter and younger for even 10 years in a very short period. Many women who tried apricot seed oil on their face said that they have seen results in just 2 weeks. The rich ingredients will hydrate and clean your skin, but also protect your skin from various external factors. This is one of the best alternative methods to tighten your face and neck skin and look younger in just a few days. Macadamia oil is very rich in vitamin A and E, which generates skin, and palmitoleic acid, which is also found in the sebum. Therefore, macadamia oil is perfect for regenerating and treating mature skin. You can use this oil every day and your skin will not look greasy as the skin immediately absorbs the oil. Macadamia oil is used for every kind of skin, oily or dry, but it is mainly used for treating mature skin. The benefits of wheat germ oil are numerous and it is especially good for sensitive skin. It is very rich in Vitamin E and B, thus it protects skin from any kind of damage. Wheat germ oil will soften and moisturize your skin and heal cracked or dry skin. Furthermore, it will clean your skin and it will reduce the appearance of wrinkles.